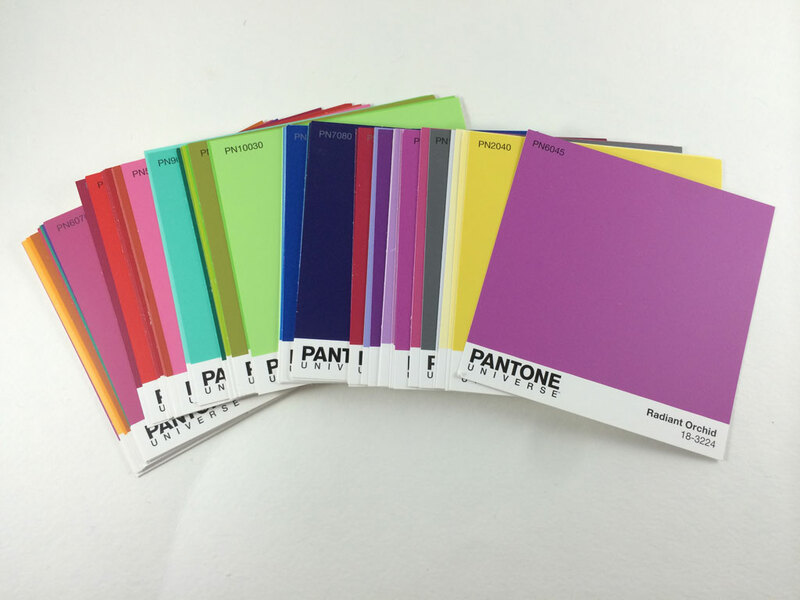 Pantone are a world renowned paint company with a huge range of colours to choose from. They are one of the most well known and trusted paint brands in the industry, best known for their paint matching system. However, they are also well established in the fabric and plastic industries. Pantone Inc. was bought for a whopping $180,000,000M in 2007. Pantone was originally founded in New York in the 50’s by brother duo Mervin and Jesse Levine as a commercial printing company called M & J Levine Advertising. They hired a recent chemistry graduate Lawrence Herbert, who began simplifying the pigmenting formulation of the printing inks. The printing end of it became profitable but the other end of the business started to crash, sending the brothers into debt. Herbert was able to buy out the printing assets in the end and so it was sold to him. He renamed the company Pantone and so it was born. The main idea is that industry professionals in interior design, graphic design, fashion and any other job that involves colour matching, printing and design purchase the colour matching cards (as seen below in the form of a fan or larger sample cards). The designer would then match up the colour that they are working with to the colour chart/card and then have the colours matched exactly to the correct tone via a number code system. They do advise that you update your chart regularly due to the exposure to light and fading over time. Once the colours are chosen, the larger samples can be ordered and lined up together or matched directly for further inspection, if needs be. These cards can be ordered online or directly through a Pantone stockist. Here are a few examples of the Pantone colour matching. They also have a metallics range. Greenery was Pantone’s Colour of the Year in 2017. The colours can be used with Adobe Creative Suite among other software, which can be updated when new colours are introduced. Pantone is also available in a range of exterior paints since partnering with Vermont-based Fine Paints of Europe in 2006. Since the Millennium in 2000, Pantone have been producing their Colour of the Year. It is chosen carefully by conferring with a secret meeting of representatives from various nations’ color standards groups. They join forces twice a year for a whole 2 days of debates and presentations. The world goes a bit crazy to find out what the Pantone Colour of the Year will be and so designers think nothing of forking out the $750 for “Pantone View” guide, in order to stay ahead of the game in terms of branding, marketing and most of all design for the coming year. The guide comprises of a hard cover, high-end trend forecast book with metal-bound edges, detachable colour cards and fabric swatches with a DVD of upcoming trending colours and mood music for the colour palettes. “I look for ascending color trends, colors that are being used in broader ways and broader context than before… In this case, Radiant Orchid descends from the purple family, which is kind of a magical color that denotes creativity and innovation. Purple is just that kind of a complex, interesting, attracting kind of color… [The] back-story to purple is that it inspires confidence in your creativity, and we’re living in a world where that kind of creative innovation is greatly admired. In the world of color, purple is an attention-getter, and it has a meaning. It speaks to people, and we felt that it was time for the purple family to be celebrated. That’s why we chose the particular shade called Radiant Orchid”. In the year 2012, Sephora makeup company collaborated with Pantone for a makeup range, using their colour of the year 2012, Tangerine Tango. This included nail varnish, lipsticks, eyeshadows, false eyelashes and more with the Tangerine Tango colour, branding and labelling. If you want to see more of Pantone’s fab popup shop designs see this article.